Kiku is Japanese for chrysanthemum. 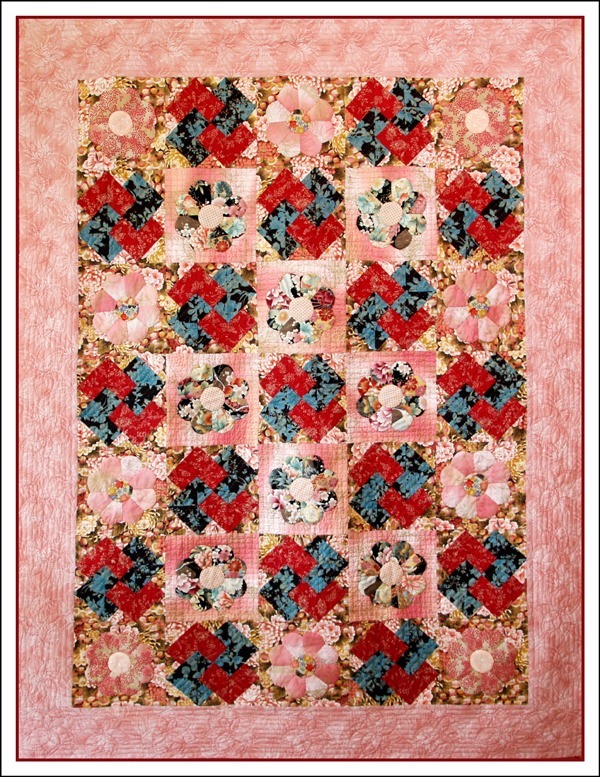 The eight-sided chrysanthemum block uses English Paper Piecing and applique techniques. The traditional Card Trick block is pieced.